If you’ve only seen 3D printing on TV, you might think it’s just for making action figures or forks. In reality, it’s serious business. Stevenson, who earned a bachelor’s degree in mechanical engineering from UD in 1982, will talk about the opportunities and challenges of 3D printing on Nov. 15 at 3:30 p.m. in Mitchell Hall. Before his role at Stratasys, Stevenson was an angel investor in and executive at GrabCAD. 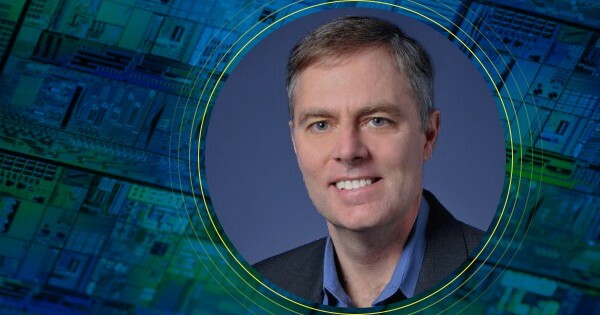 He has been a software executive for 30 years and has received patents for his work in computer-aided design, computer-aided manufacturing and software application security. Stevenson’s talk is the second event in the electrical and computer engineering department’s Distinguished Lecture series, but it’s for anyone interested in the future of manufacturing. “My talk will focus mostly on manufacturing and the disciplines required to make a printer,” said Stevenson, who oversees all technology at Stratasys and largely focuses on software and geometric modeling problems. Today, manufacturers use 3D printers for many things, including prototyping and tooling. This is known as additive manufacturing. 3D printing automates the production of items made of composite materials, two or more materials that, when combined, make a material with brand new properties. Some of that groundwork was laid here at UD’s Center for Composite Materials. Stevenson will also address some of the challenges that he and other leaders in the field are working on. For example, scientists are still trying to figure out how to extrude high-friction materials through nozzles. And many manufacturing systems will need an upgrade once 3D printing is part of the process. “As 3D printing moves from prototyping to additive manufacturing, everything that was done in traditional manufacturing with computer-aided engineering and computer-aided now has to work for additive manufacturing,” said Stevenson. Some researchers at UD are working on technological challenges associated with 3D printing. For example, Mark Mirotznik, a professor of electrical and computer and engineering, recently developed a 3D printer that can spit out materials with electromagnetic properties. Additive manufacturing isn’t just an opportunity for electrical or computer engineers. All engineers could play a role in the future of 3D printing, said Stevenson.